A natural-born story-teller, Carlee Hansen is the right choice for your next event. Her humor and candid delivery will not only entertain but pack a powerful message for whatever group you are needing to address. After graduating from Snow College and Weber State University with a degree in Communications, Carlee entered the field of online marketing where she found her passion for helping guide businesses through successful marketing plans and brand management. Throughout her career she has been able to work with and manage online marketing initiatives for some of the largest names in proprietary education and healthcare. Along her path, Carlee has specialized in media planning, vendor management, social media and software requirements for successful lead generation. After nearly a decade of climbing the corporate ladder, Carlee and two partners founded a successful lead generation company of their own (LeadAmp), managing marketing initiatives for a variety of clients from healthcare to retail. After nearly three years in business, their company was purchased and Carlee decided to pursue other life goals. “Even though I moved on, I still look back at that time with great fondness; there aren’t many times when you get the chance to compile and work with the perfect team – they are extraordinary at what they do, smart and precise. I am still so proud to have been a part of that endeavor,” says Carlee. LeadAmp continues to operate as one of the nation’s leaders for online lead generation technology and strategy. Deciding to move forward with other endeavors lead Carlee to her true passion: writing and speaking. Not long after LeadAmp was sold, Carlee completed her first book, “Peas are Gross” (available on Amazon); a humorous look at the nuances of life, “Peas are Gross” is a relatable look at life as we know it and will keep you laughing from start to finish. The reviews are in and it looks like her mission was accomplished. Readers are going crazy about the honest and humorous tone found within the pages of “Peas are Gross”. Carlee’s book has been a catalyst for her to get on the speaking circuit, addressing a variety of groups about not only her book but life in general; she speaks to businesses and women’s groups about women in the workplace, finding balance in life and, as she puts it, “using what you’ve got.” Carlee can also be found regularly speaking about finding joy in life and planning for the unexpected. In her free time, Carlee continues to work as a marketing consultant for small businesses in their customer acquisition and social media planning. 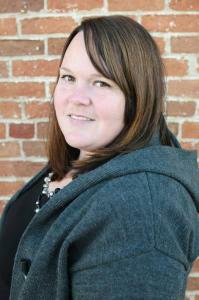 Carlee Hansen currently resides in Utah with her husband and two children. To book Carlee for a speaking engagement, book discussion or other event, please click on the desired date to the right and submit your request for review. Carlee will get back with you shortly. I side with Donald Trump. . . sort of.